Conversation list got an update! We’re always working to make Fleep better for you – and today we’re happy to share a few significant changes to your conversation list in Fleep (that’s the list of conversations you see on the left pane in the desktop version and on the mobile apps). Effectively, the new sorting logic means that the conversations ‘jump around’ less on the conversation list – their position is frozen for 1h – and their position is calculated in an intelligent way. Do note that the last two changes are only applied locally - that is, in the device / platform you are currently using Fleep on. So, if you search and open a conversation on your mobile app (but do not post a message in there), the conversation will be moved to the top of the list on the mobile app – and not in the web browser or desktop app. At the same time, if you search and open a conversation on your mobile app, and post a message in there as well, then the changed position applies on all platforms. This new feature is pretty straightforward – when you click on Unread, you’ll be able to see all of your conversations that have unread messages in them (with muted conversations sorted after unmuted ones). And when you click on All, you’ll be able to see all of your conversations. With this update, we’ve also added a ‘Home’ button – this replaces what used to be ‘All Conversations’. It still takes you to the same place – now it’s just hidden under a different button. In the new ‘Manage labels’ view, you can now organize your labels in a new and improved way. 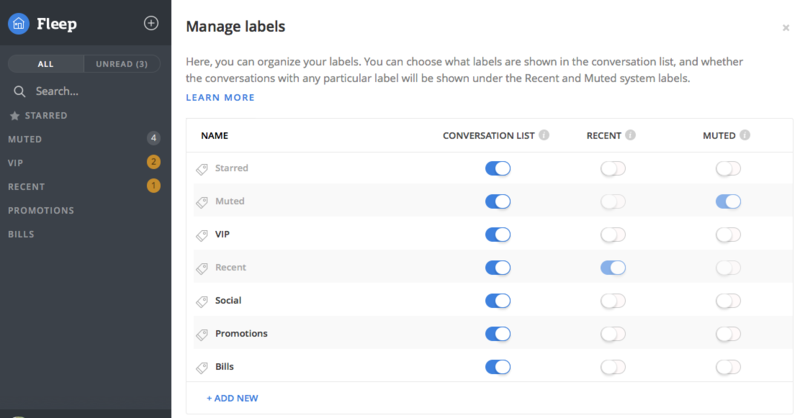 You can choose what labels are shown in the conversation list, and whether conversations with any particular label will be shown under the Recent and Muted system labels. Additionally, you can use the ‘Manage labels’ view to edit and delete custom labels – and to rearrange the labels as you wish, by dragging and dropping them into the preferred order. This order will apply in both mobile apps and the desktop version of Fleep. 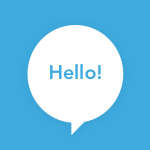 Read more about how to manage Fleep conversations with labels. We’ve been listening to our users’ feedback and have taken several steps to improve how you can start managing your emails from Fleep. 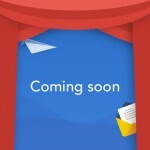 These improvements include the ‘Mark spam’ action, the new system label ‘Email’ and the recently announced Automute feature. You can find the ‘Mark spam’ action when you right-click on a conversation on the left pane. When you mark a conversation as spam, Fleep will make sure that conversation will not appear in your conversation list again. 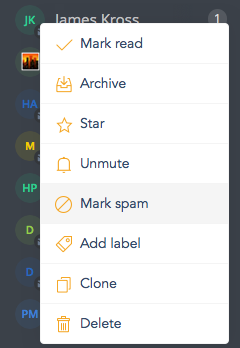 If you manage your emails from Fleep, you may find the Email label handy. In the ‘Manage labels’ view, you can configure whether the Email label is shown in the conversation list, and whether all conversations with the Email label (that is, all email conversations) will be shown under Recents or under the Muted label. In other words, you can separate your email conversations from Fleep conversations, if you wish! That’s pretty neat! What’s next? We’ve been working tirelessly to improve how Fleep works with email – especially how you can manage your emails in Fleep. We have been testing all of the updates highlighted here, and have received positive feedback so far. We will continue learning and listening to feedback to make sure that Fleep is a tool that is optimized for productivity and getting work done. We hope you enjoy the updates! I know, right? We can’t wait to share it with you.